5PM UPDATE: Hershey the Pit Bull has been put down despite public calls to save him. The pet, who police recently confiscated from a home, is deemed as an illegal breed in Bermuda. Bermuda Animal Advocacy launched a petition against the euthanization of Hershey and in favour of change in the law pertaining to the ban of Pit Bull ownership in Bermuda which had attracted nearly 2,000 of signatures. 2PM: The Pit Bull Advocacy Group has made a formal request for a ‘one time amnesty’ for owners of illegal breeds. 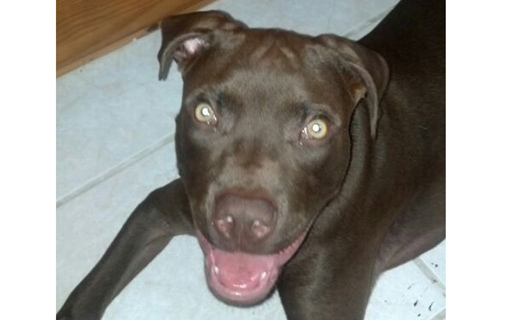 The news comes as the fate of an unlicensed Pit Bull called Hershey hangs in the balance. Hershey, who is still alive, faces being put down after police recovered him from a home. If approved, the amnesty would allow responsible dog owners of currently banned breeds, a period of time in which they could come forward, have their dogs neutered, micro-chipped and properly licensed without fear of prosecution. In a statement the advocacy group outlined three key issues: “The Amnesty protects and respects the rights of the dogs and their owners: Through allowing responsible dog owners of currently banned breeds to come forth, and take the proper steps necessary to legally own their dog, without fear of prosecution in the process of doing so. “The Amnesty protects and respects the rights of the general public: Through the process of having the current population of illegal, undocumented dogs getting properly documented, spayed/neutered and monitored by Bermuda Animal Control. We believe this serves as a humane and fairly balanced solution to controlling the existing population. A rally for supporters of the movement to end the current breed ban is currently being organized. The public is invited to send in opinions, suggestions, give feedback or find out how to get further involved with this movement. What’s the answer to pit bull problem?